“I used to be a professional cabaret singer but after my accident I lost everything and I had to relearn everything. Theatre of the senses has helped me rid my fear of my disability and has reacquainted me with appearing in public. It has helped me to build my confidence and has boosted my self esteem. My sense of humour had been misshapen and theatre of the senses has helped me to get back to my old self”. During my time with theatre of the senses I was able to take part in the rehearsal period and the performance of the play Salome. The workshops provided a good opportunity to develop my drama skills and see how professional and non professional actors could work together. I learnt a l lot about the rehearsal process and how a show can be developed. I really enjoyed working with the other cast members and bonding with them for the performance. The best thing for me was taking the show on tour to schools and theatres. This is not something have I experienced before and helped me see how I could work as a professional actor. My time with theatre of the senses has helped me push myself to do things I usually wouldn’t and has enabled me to see how a professional theatre company can work. I really feel my time with theatre of the senses has been rewarding and very enjoyable. 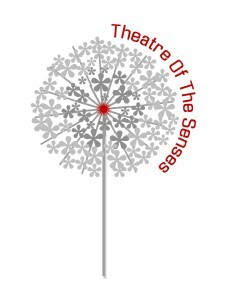 I found working with Theatre of the senses to be a very rewarding experience. The rehearsal period was fun and very well organised with useful warm ups and drama exercises. As a parent of a toddler, my child care duties sometimes made it difficult for me to attend all of the rehearsal sessions and the company were flexible enough to work around this. This certainly helped me. The attitude of the company is that everyone can be involved. Whatever problem an individual may have it can be worked around – and this made for a very supportive atmosphere in the group. I was particularly struck by the working style of the director ( Sid O’Brien ) who was very good at allowing everyone in the group to have a say. He was very encouraging of our abilities and brought out the best in us. I think he also displayed a lot of patience. As a performer interested in working with groups of mixed levels of ability and performance experience I found it exciting and challenging. I was able to contribute my knowledge and skills to aid and assist the other participants. I also learned a lot from the other participants. We had to work together as a group to find ways to overcome the problems that arose (with putting on a theatre production) and I think we successfully delivered a high quality performance. The play was well received by audiences and there was a good feeling within the group that we had achieved something to be proud of.